Spotify has just announced a pretty big update to its family plan that puts it on equal terms with Apple Music and Google Play Music in terms of pricing. Spotify's new family plan now costs $14.99 a month. The same price will be applied for up to six users, the maximum allowed. Under the old Spotify Family Plan, that money was only enough for two users. The previous pricing for five users was $29.99 per month. If you already own a Spotify Family Plan subscription, the new pricing will be automatically updated starting with your next payment date. 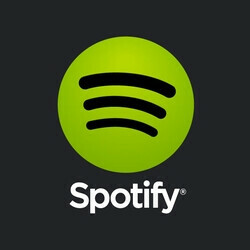 Spotify's new Family Plan is now available in all countries with the exception of Canada. Otherwise, the new family plan comes with all of its previous features, such separate accounts with separate playlists, recommendations, and offline listening libraries. If your family already owns more than a single Spotify Premium account, you might want to consider getting on the new family plan. Following this price slash, Spotify is now mirroring the Apple Music Family Plan pricing structure, which Google's Play Music adopted this past December. Previously, Spotify's family plans were much more expensive, but now the three rivaling music streaming services are on equal terms in this aspect. And beneficial for us :) I'm a Spotify user and the wife is starting move away from YouTube and downloading songs so this is very good for me. that's why competition is good, and needed. people really need to stop rooting for companies to go under just because they aren't a fan of their product(s). sorry, just had to get it off my chest. Spotify is so dumb they can't reach my country, i am enjoying Apple music but I prefer the Spotify.